This insistence makes me laugh, because recently Mikko has an imaginary friend named Silly Guy. Only, when I made the mistake of calling Silly Guy an imaginary friend, Mikko chastised me and said he was a real friend. I stand corrected! Here are some of the pertinent facts we have learned about Silly Guy — though, be forewarned — they change daily. Silly Guy lives in the air. This is because you have to take a plane to get to his house. Mikko thinks our parents also live in the air for the same reason, which amuses me no end. I like to think of Michigan and Massachusetts now as floating islands with cloud bases. Makes them much more exotic. You have to take a bus and a train and a plane to get to Silly Guys's [this is how Mikko pronounces it] house, and the plane leaves in seven minutes. Silly Guy lives (sometimes) in New York, on a tower (we presume the Empire State Building, from a Curious George book he loves) and near the Statue of Liberty. In the air. Silly Guy owns a 7-Eleven, where you can get all the popsicles you want. Three kinds! Silly Guy is blue and white with yellow hair. Sometimes. Silly Guy has reindeer and a sled and presents. "Is Silly Guy Santa Claus?" asks Sam. "No," says Mikko. "He has two hats." Duh. Silly Guy has his own bouncy house. We must look at every map we come across (store directories, weather forecasts, stock reports, GPS results, globes, menus) for directions to Silly Guys's house. If a map flashes across the TV or computer screen, we must pause the image to study it. We also must draw our own maps, which involve lots and lots of lines. Plus some stickers. Whenever we go out now, Mikko asks us if we can go to Silly Guys's house first, before we run any errands we have planned. He tells us all the fun things that await us with Silly Guy, which I have to admit does sound more appealing than whatever mundane tasks we were contemplating. I have no problem with Mikko creating his own imaginary world, because I did (um, do) the same thing. I think maybe that's how writers get their start (though I'm not limiting it to writers) — creating characters and asking "What if?" I used to live in my head (um, yeah, still do). I can remember curling up beneath my grandma's desk for hours on a family visit and contentedly crafting a whole dream scenario. Even now, I hate to be so tired that I go right to sleep at night; I love that space between waking and sleeping where I have nothing at all important to do and no one expecting anything from me and can just think up stories in my head. And, as Mikko's stories about Silly Guy grow more fanciful, it reassures me that the other day, when I agreed with him — "Sure, let's go to Silly Guy's house!" — he gave me a look and said, "Mama, Silly Guy just pretend." As if he was just checking to make sure I knew. What I love is seeing what Mikko values, embodied in Silly Guy. His friend is someone who has unlimited ice cream, presents, bouncy houses, and airplane rides. I guess to a three-and-a-half-year-old, that's a hero indeed. February brought many heroic crafts to the Families, Create! Carnival. Check out some of the wonderful posts from last month's participants below, and be sure to visit Code Name: Mama and Living Peacefully with Children to find out how you can participate in the next Families, Create! Carnival. The Artsy Mama made a personalized birthday hat for her son's first birthday. Learn how to make a Hero's Birthday Hat for your hero or heroine with very few sewing skills. Mandy at Living Peacefully with Children found inspiration in books for some I-Spy items in her post, I Spy Items - The Last Olympians and The Lost Heroes. Megan at Purple Dancing Dahlias found out how one random act of kindness can shower the world in kindness in the book Ordinary Mary's Extraordinary Deed. It's a bird, it's a plane, it's Super Kieran! Dionna at Code Name: Mama shares the Superhero Capes she made to celebrate her son's heroic qualities. At Z Everyday Things, Mama G made easy and quick Super Zs!, personalized superhero appliques on shirts, for her children. Easy and quick! 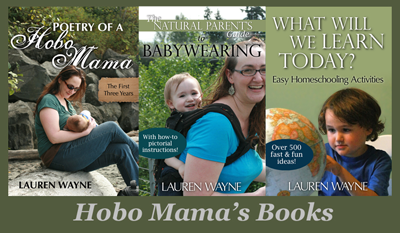 Lauren at Hobo Mama has a son who loves to dream up stories and one heroic imaginary friend. Read her post about Space-Alien Hot-Dog Monster & Silly Guy . Heroes are often everyday people. Mandy at Living Peacefully with Children was inspired by the gift of a sock in Harry Potter and the Chamber of Secrets, prompting her to make Dobby's Sock as part of her Harry Potter ornaments. Galit Breen at Three Little Waves used the book Sadako and the Thousand Paper Cranes as a springboard for a sensitive discussion and a fun origami project for her whole family in her post Families Create: Heroes and Heroines. Need a creative gift idea for a toddler or preschooler? Dionna at Code Name: Mama shares a simple Tutorial for a Two-Sided Felt Playmat (one side is outer space, one side is a jungle scene). Literature and adventure inspired Mandy @ Living Peacefully with Children to make these Treasure Bags for Imbolc. Visit Code Name: Mama and Living Peacefully with Children to find out how you can participate in the next Families, Create! Carnival. Our March theme is "Animals" - what animals are your favorites and why? Get creative and share with us how animals are a part of your and your children's lives. What a beautiful tale! Tyler used to have imaginary friends for every single person she met and character she saw on television. So we had all the dragons from Dragon Tales (+ the humans), the kid from the park, etc. EVERYone. Still, I think the sweetest part is where you and Sam both give Mikko's Silly Guy your full attention. Beautiful. And those definitely sound like the makings of a hero. Heck, someone with unlimited ice cream supply would be OUR hero, too! And a bouncy house?? SO cool! First - I think my favorite part (besides Sam's Mario Bros pants!) is the train that just comes through at the end - it made me laugh!! What a wonderful imagination. They did a great job! @Momma Jorje: Totally heroic! I love that Tyler used to do the same thing. I just love entering into kids' imagination. @Andrea!!! : Those pants are a hit with a lot of people! :) My mom bought them for Sam the Christmas before last, and they are his FAVORITE jammies now. He even talks them up to other people, because they're fleece, and he loves that he can't rip them. I think his devotion to Mario is hilarious! About the train: My mother-in-law just the other day said to Sam, "So I watched the video, but I didn't understand — why did a train come through at the end?" That cracked me up. Like, that was the only thing that made no sense. She's such a sweetheart. A 7-11 huh ;) This was SO cute, isn't making movies with preschoolers a hoot?! This is so wonderfully creative! I love how you just let them be in charge and went with the flow with Mr. Silly! Those last lines are perfect- sometimes three year olds seriously know it best!